The mission of Translation Company Cape Breton is to leverage the power of technology to completely transform the way translation, localization and interpretation products and solutions are delivered, enhancing the client’s overall service experience, reducing costs and improving the final user efficiency and productivity. We will achieve this mission by continuing to foster a client-focused environment with an unrivaled dedication to the highest quality standards and continuous development of groundbreaking technology solutions. At Translation Company Cape Breton, our vision is to seek continued worldwide growth and to maintain and advance our reputation for service excellence, linguistic quality and some of the most innovative, cutting-edge translation, localization and interpretation products and solutions available in the language services industry. 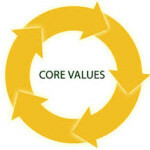 At Translation Company Cape Breton, our core values are the foundation on which the company was formed. These values have helped to shape our culture and to guide our operational standards as a company, and as individuals, every single day.